Personal blog of Renata Avila sharing experiences, thoughts, projects, ideas, passions. I am writing this from human rights lawyer to human rights defenders. I know you are all struggling with different fights but we might need to address this one together, in order to win all the others. Electronic surveillance is different from censorship. 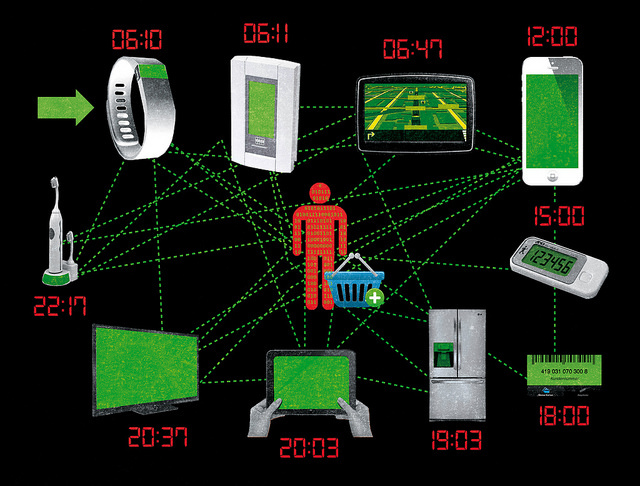 Its ubiquity and invisibility make it extremely difficult to detect. Surveillance quietly contaminates all spaces of our daily, connected lives, both individually and collectively. This reality is a threat to our clients, our witnesses, our workand ourselves. It is eroding our right to protest. Our right to circulate freely and fearless in public spaces is compromised, as cameras watch us and scan our facial features, mapping our networks as they match our mobiles with our movements. The damage to our work is difficult to measure, but the risks to the lives and safety of our community of lawyers and human rights defenders are high. Governments are rapidly regulating, normalizing it and deploying an unprecedented surveillance system in most of the countries in the Global South. As provisions are dispersed within different laws, and processes to hire the services are obscured under national security exceptions, civil society only becomes aware of surveillance procedures after they are established. That’s why, with the support of Jennifer Robinson and the collaboration of the Be Just Network, four institutions worked together to rapidly diagnose the perceptions and knowledge that key communities currently hold about encryption and anonymity. We also intended to identify emerging trends in state practices and regulations around anonymity and encryption in contexts where concerns about urban violence and gangs are used to used to advance public and political support of surveillance technologies. It was revealing to see the uniformity of global trends against anonymity and the strong support from civil society in certain countries. We need to stop and crush the surveillance apparatus. But first: let’s understand it. The Arab uprising was a warning to governments. While the ability to massively organize caught the Middle East dictatorships by surprise, years later, the situation is different. Our study confirmed that governments are prepared to act and use connectivity for their own benefit. From Argentinato South Africa, they are acquiring equipment and sophisticated technologies to combine different databases, and track and identify dissenters in real time, anywhere. A combination of SIM card registration, CCTV cameras, biometric IDs and laws allowing authorities to use the geolocation enabled by mobile phones is a reality in most of the countries included in our survey. 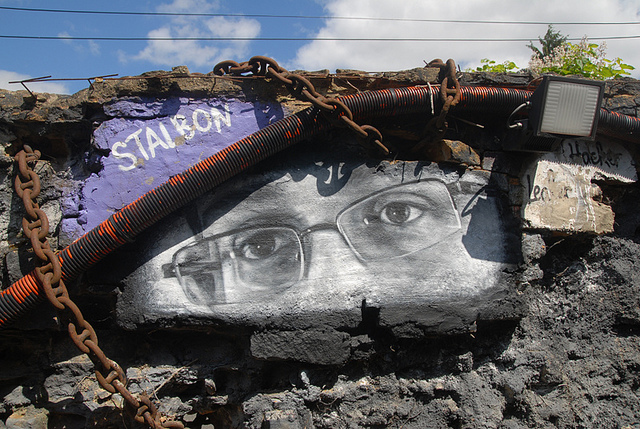 Our research confirmed the rapid deployment of technologies and policies in the Global South, often more sophisticated, pervasive, and abusive than those revealed by Edward Snowden in Western countries. Without strong judicial controls and with immediate threats justifying exceptions — such as drug cartels, terrorism, increased urban violence, and kidnappings — the surveillance state is embraced by desperate citizens, who believe they have found an immediate solution on the surface of social problems that go much deeper. There are also increasingly alarming administrative procedures for widespread data retention, including obligations for Internet service providers to collaborate with authorities. All of this is happening in countries without national or regional legal framework to protect user data. Real-name registration to acquire mobile devices and services is becoming the standard practice and the criminalization of anonymity is rapidly spreading, especially in the context of protests. International programs training police and enforcement officers are cooperating extensively with governments in the Global South, providing sophisticated surveillance technologies to tackle crime at the expense of citizens’ privacy. Most of the surveillance equipment in the region and the training on how to use it are results of cooperation agreements among police bodies across borders. Based on our findings, it is clear that we need to accelerate the understanding of current threats among human rights lawyers. Knowledge gaps at all levels are enabling governments to deploy massive surveillance, and corporations to profit from it. Unlike fields that are more familiar to us, the provisions regulating anonymity and encryption and massive surveillance programs are buried in complexity and technical jargon. At the same time, the academic and policy research in this area is limited and highly centered on Europe and North America. There is little systematic research on neither regulations nor restrictions to encryption in Latin America, the Middle East, Asia, or Africa. Despite (or perhaps because of) this lack of research, the regimes outside of Europe and North America are typically more restrictive. Why does Crypto matter? 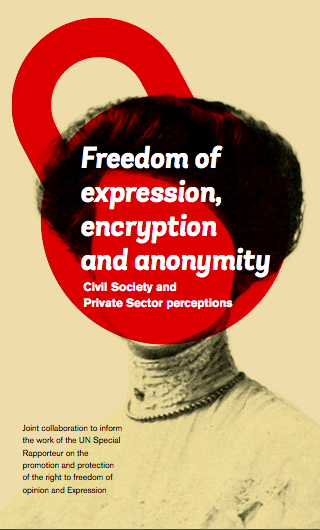 For communities at risk, anonymity and encryption are the only ways to safely communicate and express opinions. In contexts in which dissenting voices or even just informational outlets are threatened, with widespread self-censorship, independent and anonymous voices are the only ones reporting about sensitive issues. For them, the ability to communicate their ideas anonymously is a matter of life and death. Currently, the most visible example is Mexico, but there are other communities with human rights defenders denouncing corruption and exposing both corporate and governmental corrupt practices while using aliases to report. However, the problem they face is again related to a knowledge gap: few are aware that, even if they do not publish their real name online, the technologies leave them exposed. From IP identification to real-time tracking using GPS, people who think they are anonymous ignore that the sensors embedded in new technologies make them more vulnerable and identifiable. The research confirmed that states in the Global South already have sophisticated technologies to track and monitor dissident voices and that they are willing to use it during critical times, when big events or demonstrations are taking place, or when a political crisis is unfolding. For people’s full enjoyment of their right to privacy, further education and awareness about new information and telecommunication technologies is needed for advancing broader encryption adoption. For lawyers, privacy is vital for protecting attorney-client information, but encryption is hard to adopt. Most of the lawyers interviewed were aware of and concerned about the confidentiality of their communications, both ethically and legally. Furthermore, all of them have expressed their frustration that there is no legal remedy to protect themselves and their clients against massive surveillance from their own governments and from foreign governments. While encryption could be a technical solution to stop their rights from being violated, it is another burden that potentially limits their free exercise of their profession and the right to justice and due process for their clients. Electronic surveillance is not an isolated issue for geeks. We are under attack and we must unite to defend ourselves. As our research determined, biometric identification and tracking are on the rise. 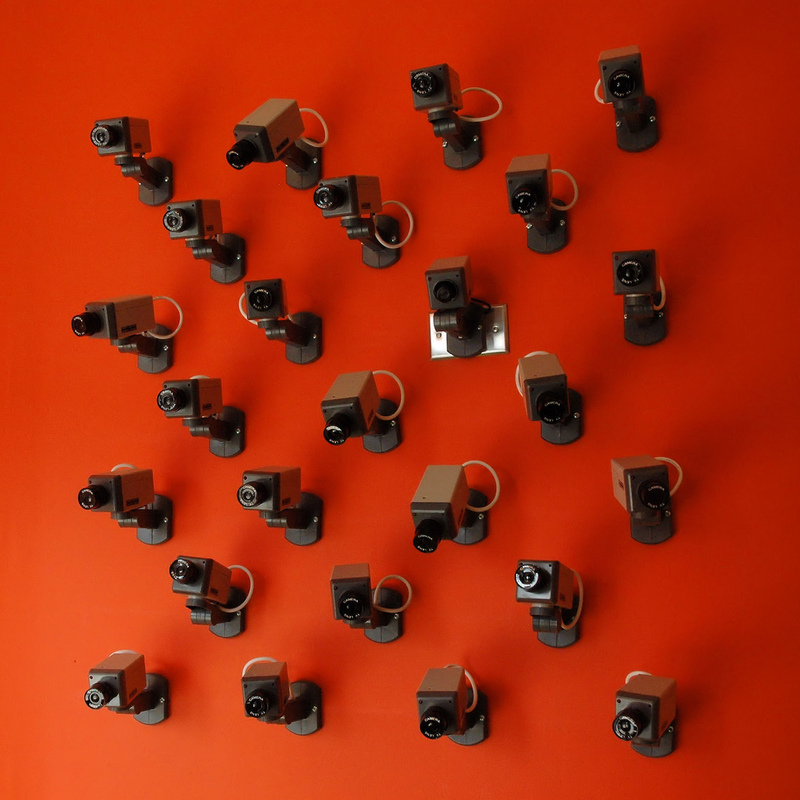 Governments are buying sophisticated equipment and using it for massive surveillance. As the Internet of Things (that spy on us) enters our most private spaces, from our meetings rooms or our living rooms, there is no street free from surveillance cameras. Human rights organizations must catch up with emerging trends and threats, such as electronic surveillance, algorithmic discrimination, big data and behavioral prediction, which are all being used to enable state violence. While our struggles for social justice and human rights have not changed, it is imperative that our tactics adapt to new and complex challenges. While we were assured that new technologies would bring a democratic space for diverse voices and invite participation of the “99 Percent,” we can now see that those were deceptive promises. We are witnessing the erosion of human rights through public-private partnerships that censor and monitor, and new tactics to impede the rights to protest and to organize, such as network shutdowns and flying drones monitoring activity from above. As human rights defenders, we can’t afford the luxury of passivity. Please note: Next month during the Human Rights Council sessions, the UN Special Rapporteur David Kaye will present his report about Freedom of Expression. The contribution of the lawyers from “Be Just” network informed the report, which subsequently took regional realities into consideration. The report (which can be downloaded here) was written by the World Wide Web Foundation, in partnership with the Centre for Internet and Human Rights at European University Viadrina, Oficina Antivigilância at the Institute for Technology and Society — ITS Rio in Brazil, and Derechos Digitales Latin America. The report was kindly sponsored by Bertha Foundation. We hope that the contribution is just the first step towards better-informed and aware human rights activists, vigilant to rapidly emerging trends and threats.